For every Brazilian Jiu-Jitsu practitioner there is a kimono. From blood and sweat absorbed after a training session to the patches we decorate that gives our fight wear a distinguishable appearance, each individual’s kimono tells a story which reveals their purpose in the art. Ren Costantini: Have you ever been told “keep your friends close and your enemies closer?” Seemingly most of us have heard the expression uttered at some point in time. Till recently, however, the expression did not fully resonate. Friends have always had their way of staying close due to the mutual affinity for one another in a mutually beneficial relationship – they are, after all, friends… but keep your enemies closer? This seemed oxymoronic. Why would I keep my enemies closer than my own friends? 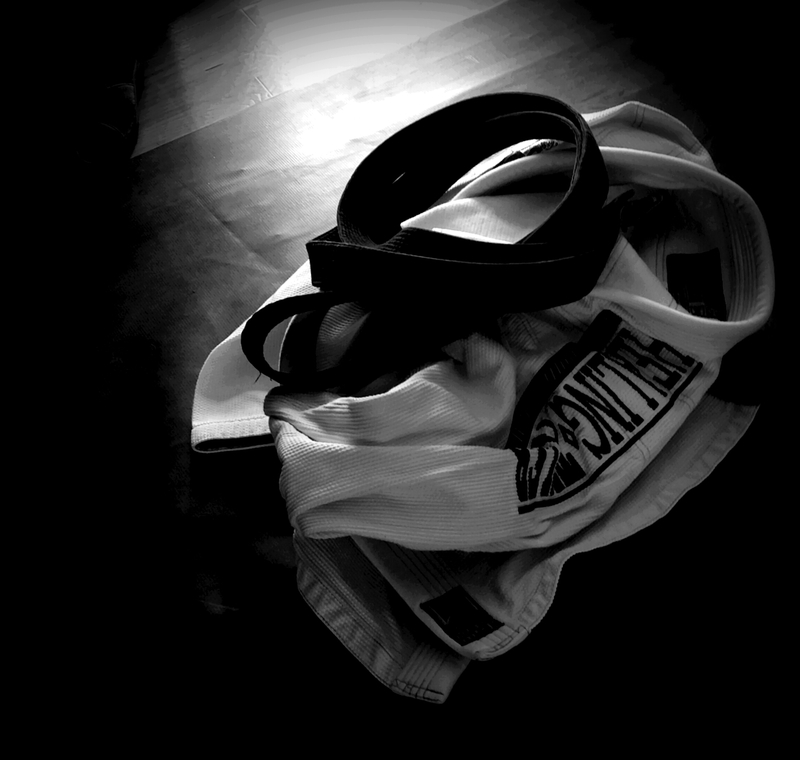 Then, one day after a grueling training session at Evolution Brazilian Jiu-Jitsu, I found myself exhausted. Slowly removing my Gi, and tossing it on the mat, I promptly fell next to it. It was here I had my revelation. After every class I lie on the mat and try to the best of my ability to recollect what events transpired during the session. That evening I recall being particularly frustrated with my kimono. My opponent utilized grips that prevented me from a particular pass and, being the hard headed blue belt that I am, I continued to bang my head against the wall, expecting it to crumble. The wall did not crumble, and my pass ended in me being choked with my Gi. Staring at my Kimono, I was astonished. My companion, my favorite clothing if you will, had turned against me – it had betrayed me. I felt a feeling of minor grief overcame me. Maybe… just maybe this friend was never really a friend. Absorbed in thought, time passed and the owner of the school began mopping the mats, and it was then that my thought process was paused. Then it hit me, almost as hard as the lack of oxygen due to a bow and arrow choke. My gi is my enemy’s friend. At first I felt cheated. “How could you choose to help him/her over me? I wash you! I occasionally dry you! I put nice patches on you! What did I do wrong? Tell me – I can change! I’ll be better, I swear!” Needless to say there was no response or remorse. That night my gi chose to leave with me if it’s any consolation. While getting my gi to leave with me was a subtle victory I began to reminisce about all the good times before my recent epiphany. This article of clothing felt as if it were armor and provided me with a sense of protection. The Kimono represents a part of me. All the sweat, blood, and tears that have been shed in these wonderful pieces of armor make it impossible for me not to be attached. So much time spent together – we have a relationship. One built on mutual respect and an absurd amount of hard work. Looking across my rotation I chuckled. How funny. The gis we wear are our enemies. What could be closer to our hearts than our gis? We spend enormous amounts of time with them, wash them, care for them, buy an obscene amount of them, and become rather intimate with them. Part of our being is quite literally being absorbed by these beautiful creations. While their aesthetics are usually the initial enticing factor, regardless of brand or look, they show no shame in their betrayal. This armor we dress ourselves in for battle is as great of an enemy as our adversary when rolling. Our Kimonos are undoubtedly classified as our enemies. The main revelation was not simply that our kimonos are our enemies. No. It can never be that transparent and simple. The true pinnacle of this thought process is that I truly love my enemy. Maybe it’s the way it challenges me, chokes me, and stops me. Could it be the times we have shared? The battles won and lost? It could have something to do with a large amount of blood and sweat now permanently ingrained in the fabric. Above all I realized my enemies have always been my greatest teachers. Wearing my gis I have experienced a world most will never experience. I have traveled through battlegrounds undiminished and emerged a new man. This particular enemy has inspired me to reach beyond disdain or even frustration to view the nature of the thing itself. An enemy is simply a form of adversity, and adversity is prosperity of the great. In order to become great my enemies remain close, in fact they’re hanging right next to me. 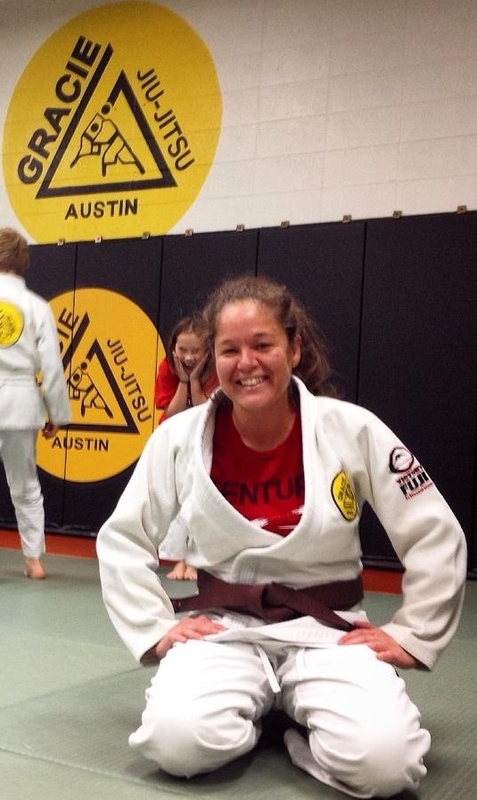 Bio: Ren Costantini is a Brazilian Jiu-Jitsu Blue Belt Training out of: Evolution Brazilian Jiu-Jitsu, Port City Brazilian Jiu-Jitsu, and Nostos MMA. Jiu-Jitsu has had such a profound impact on his life. He couldn’t even imagine not being a part of such a wonderful community that practices a beautiful art form. Daily Rickson Interview Series 11 of 24: Did you struggle with the path that was chosen for you?